July 2016 marked the launch of one of the most successful apps to have ever been launched, Pokémon Go. Just days after its launch, the game captured the interest of 21 million active users. To put that into perspective, Blizzard’s Overwatch, considered to be one of the most successful games released in the last year, reportedly peaked at 7 million players. As players move through the real world, their avatars also move on ‘virtual maps’ of their location. This virtual map is littered with Pokémon, Pokéstops, and gyms. This means that traveling from one point to another is required to play the game successfully! Carpool – Playing with friends is always more fun. Find a few friends who want to go hunting and drive them around. 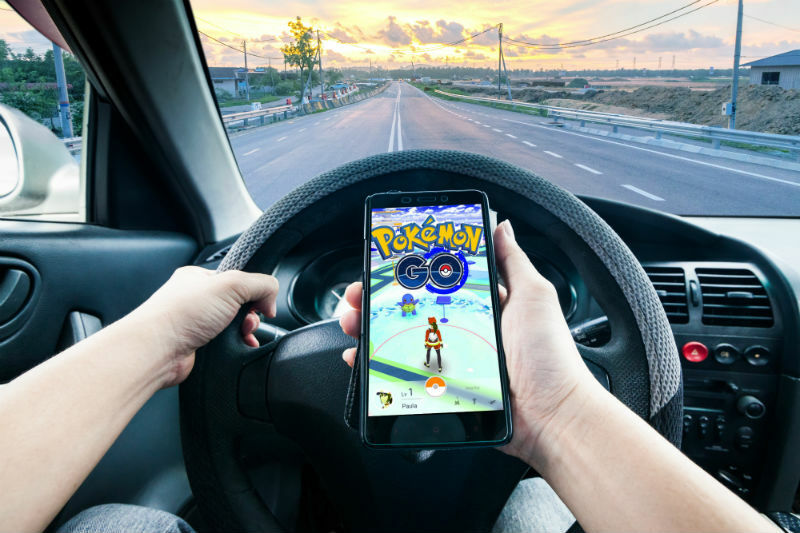 Politely ask for a volunteer to play the game for you, or pull over whenever your group finds an area with Pokéstops and active lures. Plan a route – areas with lots of businesses, parks, and public landmarks are more likely to have Pokémon than streets or highways. Fans have already begun mapping areas where rare Pokémon are likely to be found. Plan a round trip of these areas! Bring supplies – Though it’s rarely a great idea to keep plastic bottles and food in your car, it’s fine to do it for short trips. Enjoy food and beverages outside of your car while you search for Pokémon! Take your shoes off – Whether you find yourself in the mountains looking for Onyx or the beach looking for Magikarp you’re likely to track some of that real-world-goodness back into your car, be it sand, dirt, or Grimer. Keep a crate or plastic bag in your backseat or trunk. Use the crate or bag to store your shoes and prevent any loose particulates from dirtying your interior. While driving barefoot is legal in California, it’d be a good idea to keep a spare set of shoes in your car anyways. Manage your phone battery – Pokémon has proven to be a battery intensive application. You can extend your play time by: lowering the brightness of your screen, closing unnecessary apps, using a car charger, or using a portable battery bank.